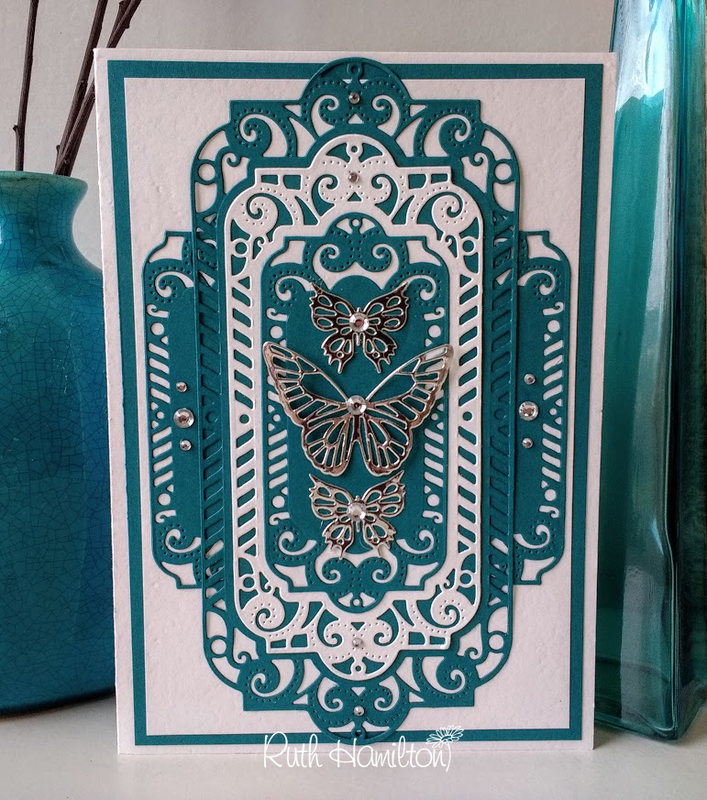 Good morning :) A little change from Christmas cards and decorations. 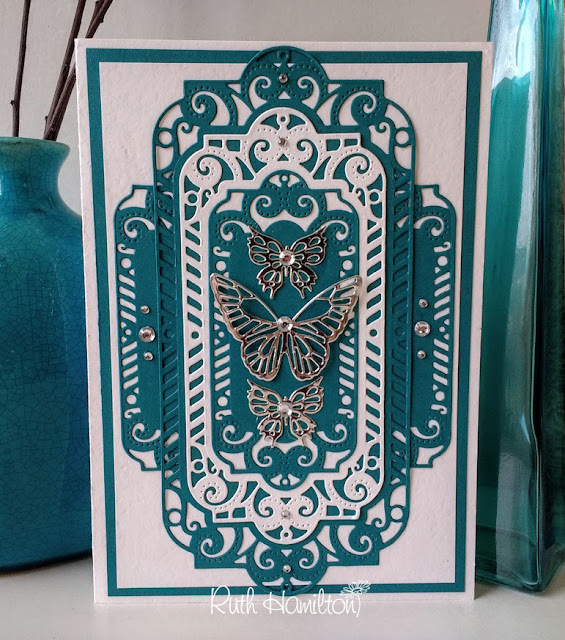 I've used the Tonic Studios "Decorative Rivoli" Layering die set for the background and inside if the card with a butterfly form the Monarch & Princess Wings Die set. 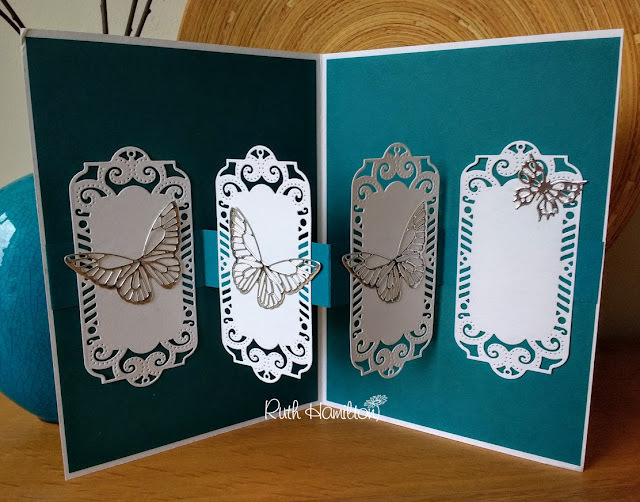 The smaller butterfly is from an older Tonic die set.